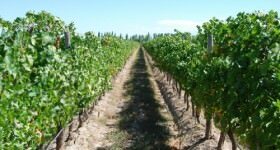 For me, though, the vineyards of Mendoza are a world away from the glitzy celebration that is Napa, and not just because of differences in altitude, climate and soils. I love the all-American theatre of Napa and many of its excellent wines. But anyone who has sat in a weekend limo jam on Highway 29, crawling past Dean & Delucca’s mega-store in the heart of the Napa Valley, couldn’t help but agree that this is a well-trodden destination. 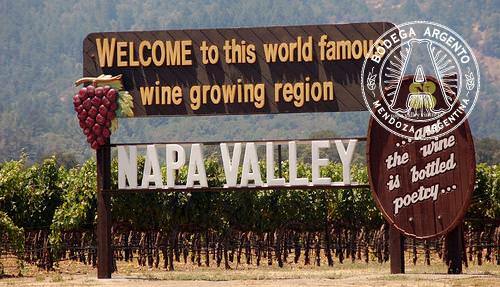 Welcome to Napa Wine Country, photo courtesy of Donna Sutton. In Napa you can tour by steam train, chow down with celebrities at the globally famous French Laundry, and visit swishily designed cellar doors on any number of Napa Valley wine tours. 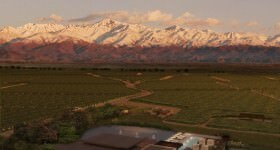 Rewind 30 years, to a time when this was still a pioneering wine territory, and perhaps then you’d gain a much greater sense of the spirit that still exists in Mendoza today. 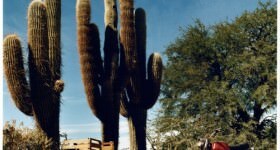 Certainly Mendoza has its smart hotels, sophisticated cellar doors and great eateries. But the whole feel of the town and its adjacent swathes of vine-covered land is more rustic and full of laid-back appeal. 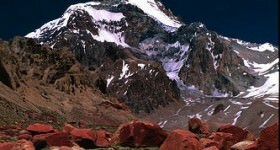 The flight alone from Buenos Aires towards the great Andean Cordillera is enough to lend drama to your arrival. The crisp air, piercing sunshine and looming majesty of the mountains – whose snow-capped peaks are ever visible – also give lie to a rugged sense of place. 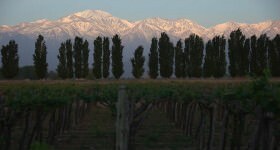 Mendoza’s most important wine regions of Luján de Cuyo, Maipú Valley and Valle de Uco are spread across a similar distance to the bucolic stretch of vines from Napa to Calistoga. 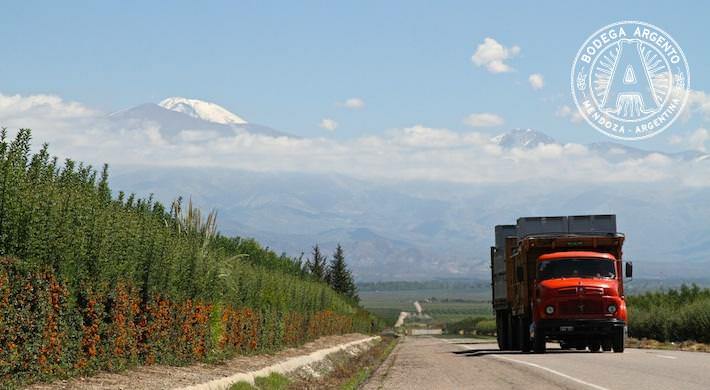 But with 330 days of annual sunshine, only eight inches of rain and with lofty elevations running from 1,500M to 5,600M above sea level, this is different territory indeed. 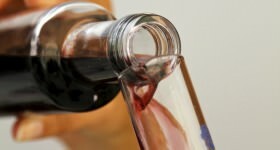 From a winemaking point of view it’s the purity of conditions here that has drawn so many leading winemakers from California, France, Spain and elsewhere. The vines enjoy long, sun-slaked ripening time, with cold night air ensuring that the grapes hold on to their delicate aromatic qualities, while poor soils are perfect for encouraging deep roots and imparting minerally depth in the wines. The local terroir is palpable. This is a dry place, with irrigation provided courtesy of pure Andean melt water, so there’s little humidity and thus naturally healthy grapes and vines. 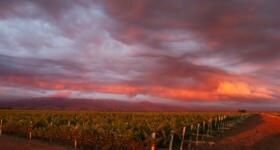 Sunrise in Mendoza, photo courtesy of Tony Bailey. 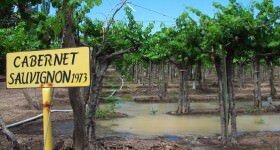 These are conditions that have allowed the Malbec grape to thrive, so much so that Argentina can now be considered the spiritual home of this deeply appealing old French variety. Of course, other classic varieties flourish here too. 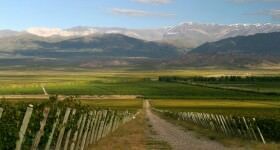 As in Napa, Mendoza produces world-class Cabernet, Merlot, Chardonnay and much else besides. 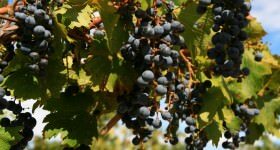 But unlike Napa, it has in Malbec a style that it can call its own, in addition to the more commonplace ‘international’ varieties that are found around the globe. 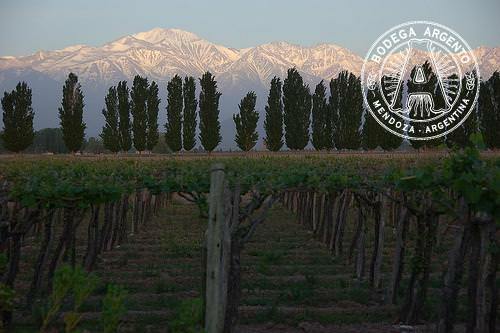 Mendoza town itself makes a pleasant base for exploring this lofty corner of the wine world. 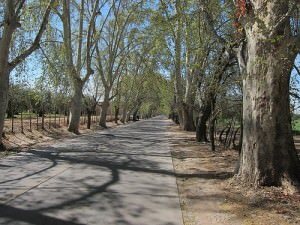 Of the 1,000 or so wineries within sniffing distance, over 100 (including many of the best) have cellar doors open to the public, with some with great winery restaurants too along the Mendoza Wine Route. Despite the many differences, what does tie Mendoza together with Napa is the passion and commitment to quality found among the winemakers. 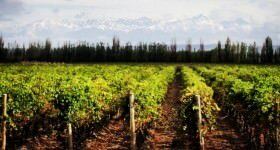 And, as the tourism side of things continues to flourish, more and more inquisitive wine lovers are finding their way to Argentina’s winemaking heartlands. There is still a real, tangible sense of the pioneering spirit here and you can sense it among the winemakers and in their wines. Related it may be, but Mendoza is very much Napa’s non-identical twin. 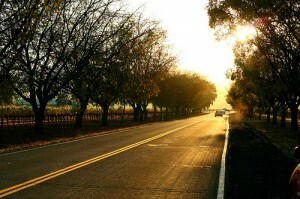 I'm the artist who took the image with the title “napa-road” on your blog. I'm delighted that my image inspired you to use it. The image is, of course, free under a Creative Common license; however, that license requires you to give prominent credit to the artist somewhere in the body of your work. For instance, a caption similar to the one you gave Donna Sutton for her image would suffice. The caption should read “Napa Road by John Morgan” or something similar. I don't mean to be rude. I do really like your blog and your use of the image. Hi John, thanks a lot for allowing us to use your beautiful photo. Sorry about the trouble with the attribution. It is now fixed as you can see above. 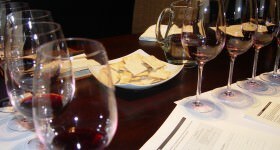 The blog is having descriptive views on Napa valley wine tours. It is appreciable and and felling delighted by seeing the snaps of the beauty.